Three summers ago I acquired an old 14ft Starcraft aluminum boat with a Johnson 9.9 motor (both from about 1985), to see if I and the family would make good use of a boat. This boat required much work, so I sealed the leaks, painted it, put in a new transom, new seats etc, and had the motor serviced. It was very shallow, with say a 14 inch draft, and was only 44 inches wide, so it was a tight fit, but as a starter, it did the job. 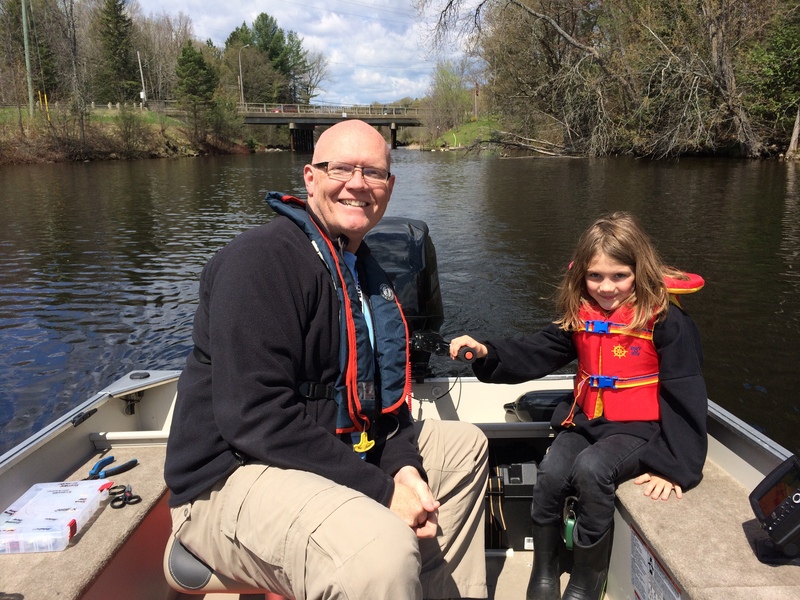 After two summers of heavy use though, it was time to upgrade to a boat that would allow for a better fishing experience, along with a safe and fun environment for the whole family. Thus, the boat search began. I did a lot of online research, followed a lot of forums, and observed who was driving what. I had my list of features / benefits; 16ft, tiller, flat bottom, good reputation, good residual value, light enough to pull behind my current car etc. I narrowed it down to two brands, Princecraft and Lund. I then headed to the Toronto boat show, where both companies had booths. I was expecting to buy the Lund, because my research had the price point being a bit less money. It probably would have played out that way, if not for the fact that the Lund rep I was working with was just basically taking my order, and the guys at Princecraft really wanted my business. The questions they asked, the research they did, the feedback they provided, all led to an unexpected outcome for me, buying a made in Canada Princecraft Resorter DLX BT. Getting the right product was important, but who I dealt with and the quality of service was equally important, because I was expecting to have a long relationship with the dealer for storage and service. So fast forward to today, and I’ve had the boat on the water for 3 months, and I could not be happier. Let me give you the breakdown of some of the upgrades I did to the boat. I put on the biggest motor it was rated for, a 40hp mercury. I added a bike seat and post for the casting deck, a Minn Kota Terrova 55lb bow mount with Ipilot, a Humminbird fish finder at the back with GPS and a basic finder at the front. I also added a swing tongue on the trailer to be sure I had lots of room in the garage. The last feature I ordered was the trailering cover to use both for transport and mooring when needed. It’s been an exceptional boat so far. The motor purrs, produces great speed (have had it at over 45km/h), and I’ve had it pulling a three person tube with 1 adult and two kids, and no drop off in speed! The casting deck has been a real joy, especially with having both the foot pedal to control the trolling motor, as well as having the remote on the Ipilot. 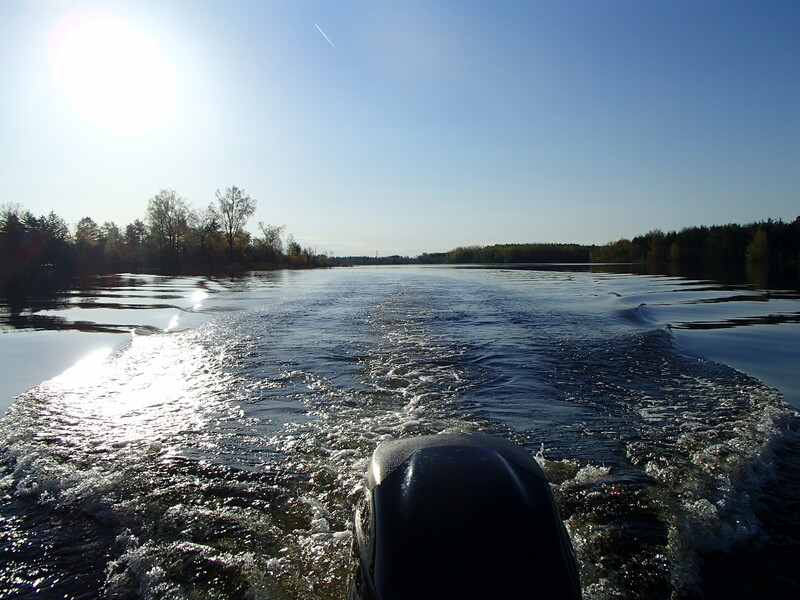 I can have full use of the trolling motor regardless of where I’m sitting in the boat. For fishing alone, the Ipilot is ideal. 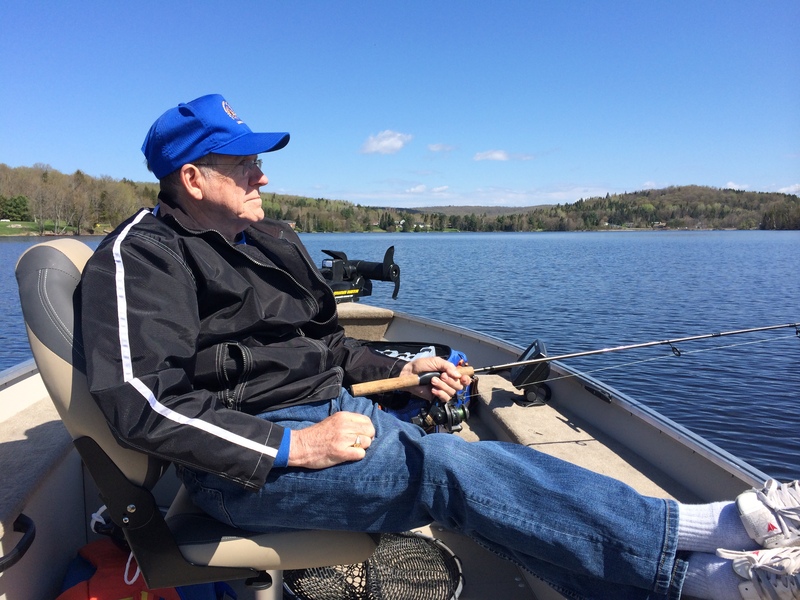 If I have a fish on, or if I’m hung up, I can use the spot lock to hold the boat in place while I deal with the fish without worrying about drifting into the shore. 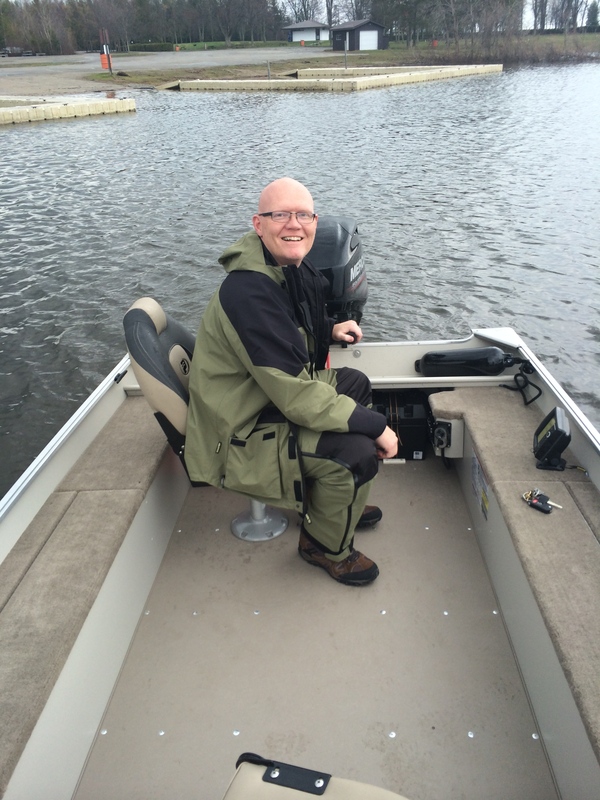 I’ve had 3 adults in the boat fishing, plenty of room for all, and we were all standing, so the stability is great. Also, the two side storage areas are great for rods, tackle and gear, and then there is the bow storage and the live well too. The lighting was included and works great, and having the control panel for the lights, the live well and the bilge right by the ignition area is super handy. The live well is 34 inches long, so plenty of room there. It’s also been a real hit with the family. We often go out for a boat ride and it’s so nice to have the comfort that the kids can move around, and with the fabulous seats as well as the side bumpers and bow area to sit on, the options are a plenty. The vinyl floor is easy to clean, and the carpeted sides and bow are a welcome treat. The trailer cover fits like a glove, and the dealer even made an on the spot adjustment to allow for the trolling motor mount. I have nothing but good things to say! Now, I’ve talked about my great experience with the dealer, so here is what you need to know. I bought the boat from Trailerworld in Brantford, who is the local Princecraft dealer, and I dealt with the owner Ryan. You will not find a better person to deal with. Honest, hard working, up front, and if you have an issue, he works through it with you. I hope you have as much enjoyment out of your boat, as we do with ours. 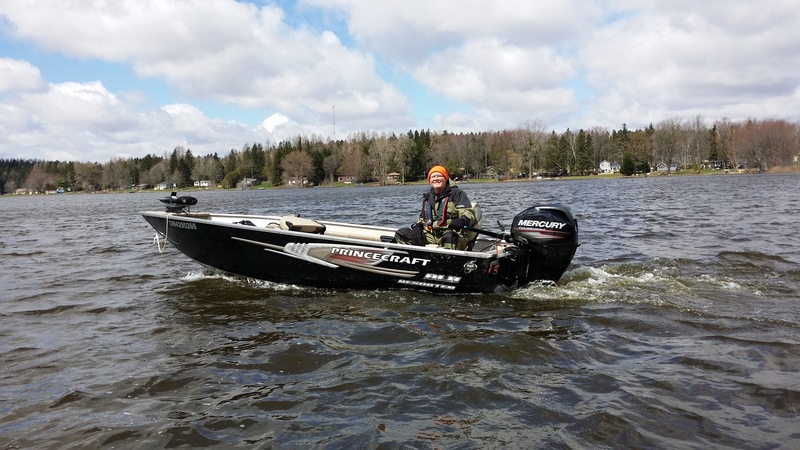 This entry was posted in Boating, Equipment / Gear, Fishing, General and tagged boating, family, fishing, Humminbird, Mercury, Minn Kota, princecraft, resorter DLX BT, Terrova, tubing. Bookmark the permalink.